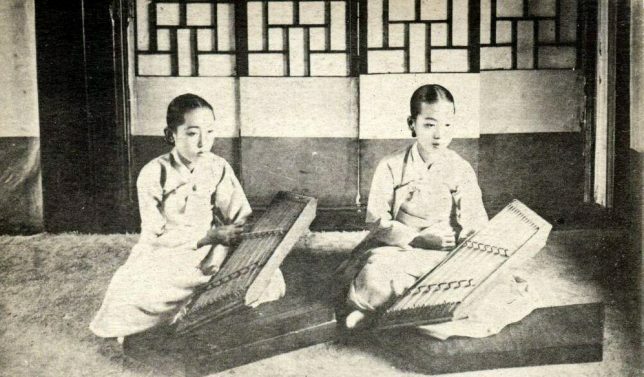 Ynag qin players. It means foreign zither. The hammered dulcimer was introduced into China by the English I believe. The modern ones have a rather unique sliding bridge setup so they can change modes easily. I have heard some really hot Chinese players on this instrument. I’d like to hear this too. Actually, a few people have thought the are Korean musicians and instruments. There are many regional variations of the hammered dulcimer concept. I like the Chinese Yang Chin with the tuning slides on the pinblocks. Makes a lot of sense! Everything that is really great and inspiring is created by the individual who can labour in freedom.